Healthcare & Education Ads Are Most Deceptive & Misleading! The most important rule for advertisements is that it should only tell the truth, and nothing else. The consumer should be aware of both the pros and cons of the product; and the process of selling should not be deceptive or misleading. But it seems Indian companies, especially from healthcare and education sector are determined to make a fool of the consumer, and encourage them to choose sub-standard product. And deceptive advertisements are fueling this wrong business & creative practice. During the month of November, Advertising Standards Council of India (ASCI), which regulates and monitors Indian advertisements, received complaints against 144 advertisements, out of which it upheld the complaint against 133 advertisements. 61 of them belonged to healthcare companies, and 33 were from education firms. Surprisingly, both healthcare and education forms the basic necessities of life, and if companies are misleading consumers on these two vital requirements, where can the consumer go for solace? Godrej Consumer Products Ltd (Goodknight) : Consider this advertisement from Godrej for promoting their mosquito repellent product: Goodknight. In the heavily promoted advertisement, we see a child standing near the mosquito vaporizer, meanwhile the product’s leaflet clearly mentions that this electrical device should be kept away from children. Dr. Batra’s Health Clinic: In the case of Dr. Batra’s Homeopathy Clinic, ASCI has upheld the complaint that a doctor cannot openly promote his business, as it violates the Code of Medical Ethics for Homeopathy practitioners. There are total of 3 complaints only against Dr. Batra’s advertisement campaigns including hair gain and weight loss offers. 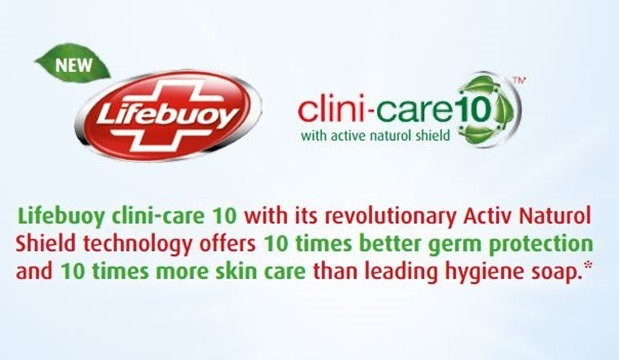 Hindustan Unilever Ltd (Lifebuoy): Many advertisements also make unsubstantiated claims, like Lifebuoy soap ad from HUL. It says, that the sops provides “10X germ protection” and “10X more skin care” than any other soap. There is no study that shows this! Educational enterprises are vehemently claiming that they offer 100% placement and that they are “No. 1” in their field. Such overhyped claims have been slammed by ASCI, as 33 complaints have been upheld against them. Interestingly, for the first time, an eCommerce advertisement has also received the wrath of ASCI. Snapdeal.com’s “Snapdeal bachaey raho discount offer” which was advertised in the month of November claimed that customers can get heavy discounts on products but when users logged into the portal, they found most of the products already ‘sold out’. The complaint against this ad has also been upheld. Going by this yardstick, Flipkart’s special promotional campaigns in the month of December can also be upheld in the next monthly review by ASCI. Here is a list of all advertisements, complaints against which were upheld by ASCI for the month of November. We had earlier showcased how ASCI cracked the whip on Fairness products ads, thereby imposing strict guidelines for such campaigns. Thankfully, such as ads have come down since that. Incase you happen to observe any misleading or deceptive advertisement, then feel free to lodge your complaint here. "Healthcare & Education Ads Are Most Deceptive & Misleading: Advertising Body", 5 out of 5 based on 1 ratings. Brace Up Folks, Flipkart Bringing 3 Hour Instant Deliveries! Creativity in Indian Advertisements – Idea, ZooZoos, Dairy Milk & Havells! This is how Advertisers fleece poor customers !